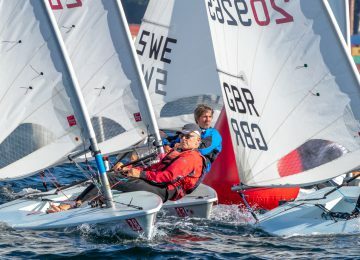 Only ten days to go for the 2018 Laser Master European championships in Vigo, Spain, where more than 140 experienced sailors from 20 countries all around the world will enjoy of the major Laser Master’s European party. Event will run from October 5th to 11th and be held by Club Marítimo de Vigo, with collaboration of Liceo Marítimo de Bouzas. 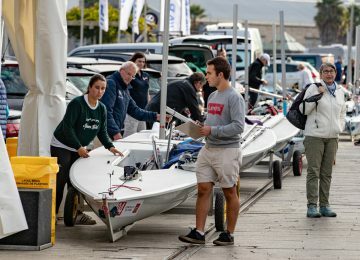 Club Marítimo de Vigo is a newly created entity, considered to be the heir of one of the oldest sailing clubs in Spain, which was one of the promoters of sea sports in the first part of last century in Galicia. Its base is in the estuary of Vigo, considered one of the most protected, wide and stable racing fields in Europe. 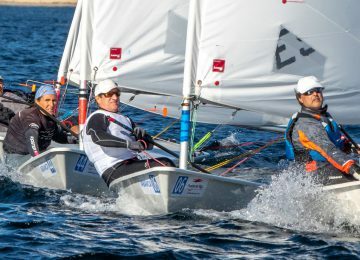 The Club is currently the main organizer of the Abanca Week that is held every year in waters of the Spanish northwest and the north of Portugal, which brings together thousands of athletes sailing and cruising, traditional rowing and Olympic and canoeing and which has the support of clubs in the category of Real Club Náutico de La Coruña, Club Náutico de Sada, Liceo Marítimo de Bouzas, Club Marítimo de Canido, Monte Real Club de Yates de Baiona and Clube de Vela Atlántico de Leixóes. 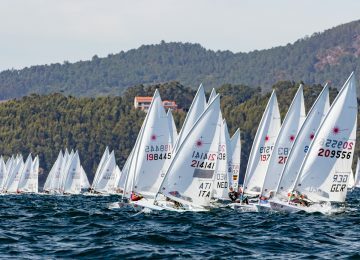 Since Club Marítimo de Vigo organized events of the European Laser Circuit a few years ago within the Week, which involved more than 200 sailors from various countries, has been a basic aspiration to re-celebrate in the Vigo estuary a championship officer of continental rank. 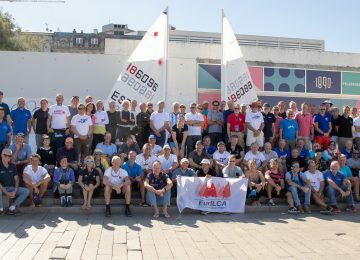 EurILCA’s decision to grant the Maritime to celebrate this European championships in Galician waters, was received with great joy and responsibility. 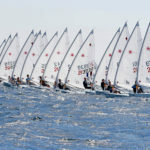 The members of the Club will turn to offer to the participants a great organization, with the desire that this international regatta is the beginning of the concession of other great sailing events. Authorities and sponsors – Photo Pedro Seoane. The Liceo Marítimo de Bouzas is the deputy dean of the nautics of Galicia. Founded in 1907, it is located in the south center of the splendid Vigo estuary, its facilities are very protected from all winds, riding between the populous city of Vigo and the beaches area. It has more than 300 berths that are full, in large part sailboats. The Liceo, in addition to a good berthing facility, has an excellent fixed stone ramp, with a width of 25 meters and a wide ancillary surface. Another advantage of its location is that it is 200 meters from the beginning of the motorway with connection to the main cities of Portugal, the north of Galicia and the Bay of Biscay, as well as the whole of Spain and its main cities. 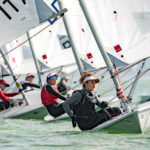 In the sport it is a club with a lot of activity, organizing every year regattas of cruises with complete crew, as well as of solitary navigators. The Laser Standard and Radial are the classes with greater number of practitioners. Among his regattas are the Vuelta a Cíes de Solitarios, and two events immersed in the Abanca Week: the Trophy Villa de Bouzas de Cruceros and the Gadis Extreme Laser, the latter is the only one of these characteristics that is celebrated in Spain and is a relay resistance competition, which enjoys a great pronouncement. 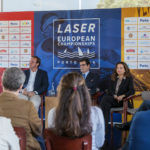 The Club Marítimo de Vigo, which has excellent relations with the Liceo Marítimo, offered to share the collaboration tasks of the 2018 Laser Master European Championship, and the offer was received in Bouzas with great enthusiasm. The Ría de Vigo is the deepest and southernmost of the Rías Baixas of Galicia. It is located south of the province of Pontevedra, and extends in a northeasterly direction in a length of about 28 miles, from its mouth at Cabo Silleiro to its deepest point in Arcade, with a maximum width of 10 miles in the mouth, between the Cape Corporal and Cabo Silleiro, which narrows in the Strait of Rande to a little less than half a mile. Its western access is protected by the Cíes Islands, which are part of the Atlantic Islands National Park, in its interior are the islands of Toralla and San Simón, and to the north borders with the Morrazo peninsula. At its southern end are located the Bay of Vigo and Bay of Bayonne. 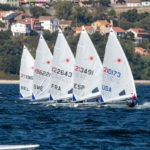 Its easy access, deep draft and calm waters make the Vigo estuary an ideal refuge for sailing, and also for the practice of water sports and especially sailing. One of the peculiarities of the river estuary is that it allows sailing all year round. 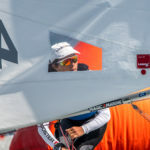 For the high competitions of Olympic sailing and of cruising, it uses its field of regatas of the zone west, next to the beautiful Cíes islands enjoying the protection of them, as well as of the peninsula of the Morrazo by the north and the coast by the south. Its amplitude is such that it allows to be able to mount without problem any more of a field of races with the maximum technical exigencies. Vigo is the largest city of Galicia and the tenth of Spain with a population of 300,000 inhabitants, multiplying by two this figure the population of its area of influence. It is one of the most important seaports of the south of Europe, being the one of fishing that has more traffic of the whole world. By road Vigo is connected by motorways to the whole of the Iberian peninsula: Santiago de Compostela is 90 km from Vigo, Oporto and La Coruña are at 150 km, Madrid is 600, 800 km from France and 1000 from Barcelona, all by fast and mostly free routes. The entrance to the ring road leading to the international motorway network is 200 meters from the Liceo Marítimo de Bouzas. Vigo has two railway stations, with national and international connections and a flowing traffic with the capital of Spain, as well as with Portugal. Both stations are within a radius of only 4 km.In terms of airports, the situation of the city of Vigo is unbeatable. It has an excellent airport less than 14 km from Bouzas … but it is also connected by motorway directly. Just as it is with the international airports of Santiago de Compostela (100 km), Porto (150 km) and La Coruña (160 km). The Vigo bay is very safe and totally navigable from the Cíes islands to the Strait of Rande … it is one of the best natural refuges in the world, being able to practice the nautical activity 365 days of the year. The wind is affected by the surrounding terrain with high mountains 400 meters high on both sides of the estuary, which attenuate the intensity of the wind and channel it in the direction preferably of the transverse axis, both in the incoming direction (SW) and the (NE). Also must be considered the regime of land-sea breezes during the night and sea land during the day. Prevailing winds are N / NE in summer and S / SW in winter, although there may be winds of variable direction at any time of the year. We offer weather statistics for the Vigo estuary in October. More information about Vigo’s weather here. By Agustín Argüelles – EurILCA | Source: Host venue website.